We would like to give you the opportunity to get involved in the restoration of Paul’s historic archives. We have around 340 reel to reel tapes of messages from 1948 – 1979 plus films of meetings in that era. All of them need some care and restoration and transferring professionally onto a digital format. We would like to ask you to pray and consider helping financially. This is an intentional approach on our behalf because through your generosity we will be able to make these historical, encouraging and faith-stirring videos and messages available to everyone to watch or listen to on phones, laptops and smart TV’s, free of charge. 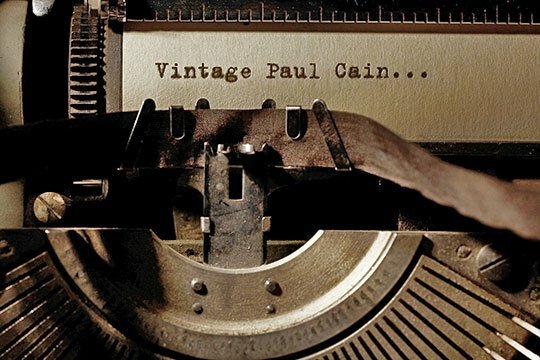 our conviction is that Paul Cain’s story is not finished. God would have us run with the overwhelming conviction that time is short, and God is about to do an unprecedented thing in revival that will touch the nations before His return. We have approached a company that specialise in this technology and they have begun the process. We are anticipating the costs will be just around $10.000 certainly not much more. If you would like to contribute and live in the States it’s tax deductable under 501c3. Please make contributions on the Paypal account on the Donate tab above There is a facility there for you to pay by card too. If you need further information please contact us. We will not be publishing the names of donors.